Taking part in initiatives like the #PlantitForward movement by growing our own food at home is good for our families and the environment. To help get our vegetable garden bloom and to keep our dinner plate interesting, here are some tips from Tara Nolan, Kashi Plant it Forward ambassador. It is gardening season, which means it is time to get our hands dirty and get real about food. 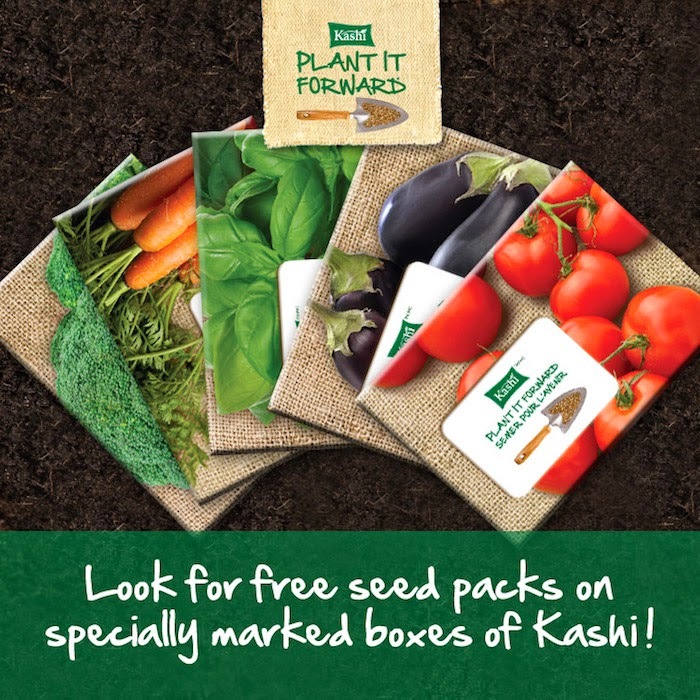 This spring, Kashi is introducing a unique program called #PlantitForward to make a positive difference in communities across Canada. Kashi and Evergreen, a not for profit organization dedicated to green cities and a healthy planet, are partnering to increase access to fresh, healthy, locally grown foods by building and supporting 18 community gardens. Community residents will take part in the planning process and help build a garden that will provide real food to nourish their family and friends.